Born in a family where tabla was the bread and butter, there were these two pillars, his father Ustad Allarakha and brother Ustad Zakir Hussain, who were always there guiding and getting him ready for the world of rhythm. Since the time he started playing on stage and rhythm-programming in studios, he always wanted to work on exploring wider prospects of world rhythm through composing, music production and the ever inspiring world of live performances. With Zakirbhai's inspirational support, his parents’ blessings and his wife Geetika’s support and understanding push he plunged into the exquisite, exotic and exciting world of rhythm. His major influences in the world of rhythm have been Ustad Alla Rakha, Ustad Zakir Hussain, Ghatam Vidhwan Vikku Vinayakram. And other Masters like Buddy Riche, Billy Cobham, Trilok Gurtu, Aeirto Morreiro and Giovanni Hidalgo. 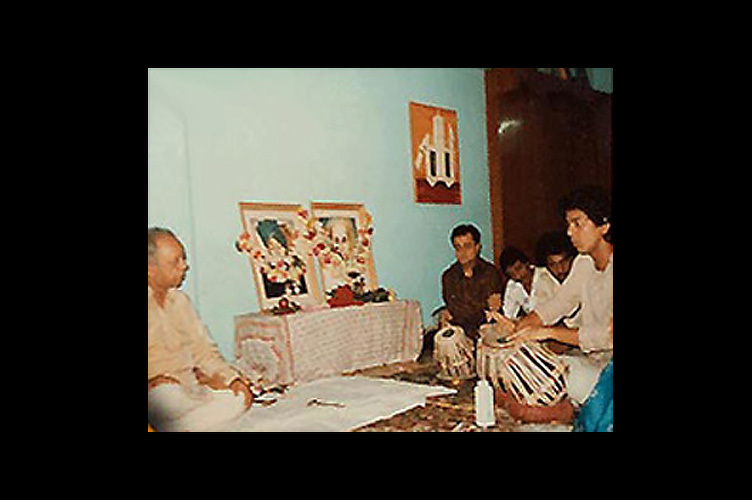 His Guru and primary inspiration to date remains his illustrious father, Ustad Allarakha. However, while learning the rudiments of the tabla from his father, Taufiq from a very young age was drawn to the wider world of percussions. Although his grooming has been deeply rooted in the Indian Classical Music culture, his horizons widened, listening to his brother, Zakirbhai's fusion experiments through the bands Shanti, Diga, Shakti and Rhythm Experience. However, it was after hearing his father play in an international album with the master drummer, Buddy Rich; that Taufiq fell in love with the entire world of rhythm with its wide range of instrumentation . Taufiq's Alma Mater, St.Xavier's College, gave him the wings to fly and that is where he began his foray into world music and fusion music with the creation of his band 'Surya'. 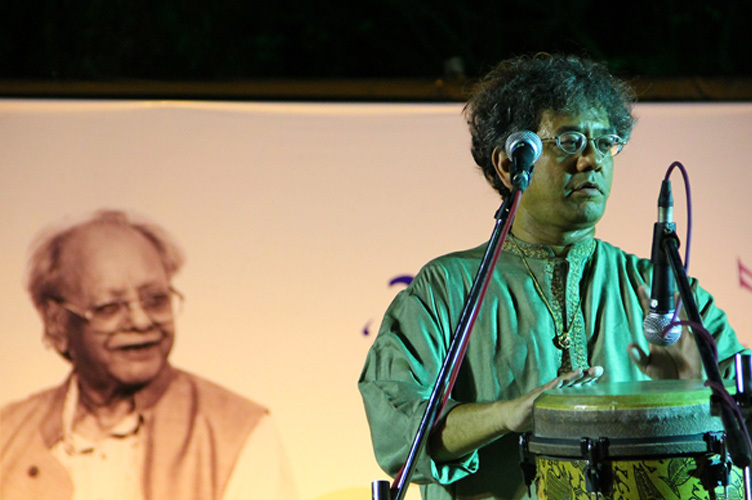 Taufiq was already playing the Tabla with stalwarts such as Pt. Hariprasad Chaurasia, Ustad Sultan Khan, Pandit Brij Bhushan Kabra. One of the concerts where he was playing the tabla in a Trio, with Ustad Allarakha and Ustad Zakir Hussain, in Germany in 1988, became a turning point in his life. He emerged an extremely confident musician who then took on the challenge of exploring the ‘other rhythm’ away from the family heirloom of tabla. Over an arduous journey of many years he redefined his rhythmic inheritance on the African Djembe and has got acceptance for the same, from the Gurus of Indian Classical Music. A dedicated self-learner, Taufiq soon discovered his greatest asset: "a feel for the world of sound ", with all its intricate nuances. This is the quality which makes him one of the most sought-after rhythm programmers and percussionists in the world of live performances and studio-recordings as well. 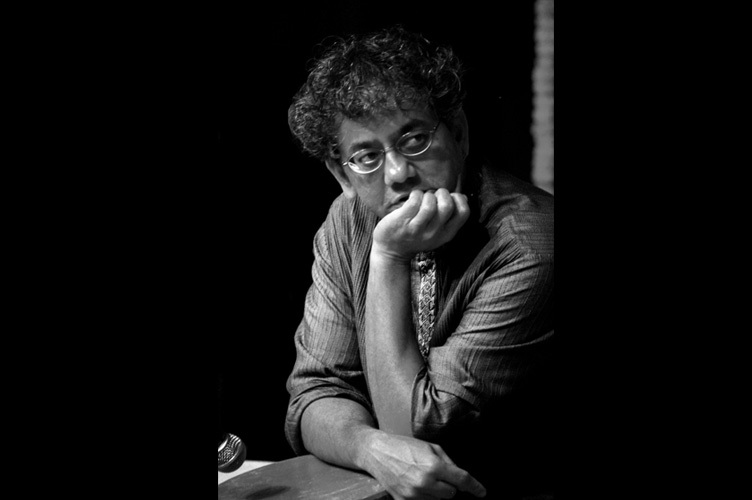 Taufiq was always drawn to the field of composing music. His journey as a composer began way back, post his college days when he did rhythm programming for songs from private albums, jingles and film songs. Soon he became a popular name as a music director in the Mumbai theatre circuit. He co-composed for many memorable theatre plays of which; The Royal Hunt of the Sun, Mahatma Versus Gandhi, Eva Mumbai Ma Chal Jaiye, Salgirah, Begum Sumroo stand out. Taufiq also produced several impressive music pieces for Beauty Pageants, like Femina Miss India and Ford Super Model. During the good old days in the early nineties, when the television industry was very selective; some of his TV- serial title music tracks and signature tunes became very popular. By virtue of his amazing versatility as a percussionist and as a composer of sorts he has carved himself a unique niche in the field of world music. Taufiq’s sense of tone and command over a wide variety of percussion instruments is phenomenal. He has been described as "a fantastic percussionist with any instrument at any speed" by his seniors and contemporaries alike. His repertoire ranges from the earthy and rustic ' Dumroo & Duff’ to the contemporary 'Batajon'(A Cuban instrument), 'Bongo' (Latin American instrument), 'Djembe' (African percussion instrument). Whether it is playing the 'Madal Tarang' or the 'Cymbals', the 'Timbale', the 'Clay drum', the 'Dumbak' or the 'Midi drums', his unique presence is unmistakably recognizable. Taufiq’s trademark style incorporates body and vocal percussions to create unique rhythmic motifs spanning across cultures. Taufiq’s experiments using the ‘breath’ have become an integral part of his performances; he transposes the grammar of rhythm into the ‘in and out’ breath. He believes, the ‘in breath and out breath’ to be most primary rhythmic cycle a human being follows. A dedicated self learner, early in his life, Taufiq discovered, his greatest asset: 'a feel for the world of sound', with all its intricate nuances. This is the quality which makes him one of the most sought after rhythm programmers and percussionist in the world of live performances and studio recordings as well.